Natural oils are the remedy for everything. Sounds like a cliché? Probably, but their action isn’t that banal, definitely. Apart from hair and body conditioning, oils deliver a highly beneficial action to face skin. There is no other face serum that might measure up to what natural oils are able to do. They can work as make-up base or as a day/night cream. Moreover, thanks to natural oils, you can remove make-up or use to replace a lip balm with. But how to buy a good face oil? After all, there are plenty of such products so we can pick and choose among them. The truth is, the oils recognized for their strong skin nourishing and revitalizing action are mainly the oils extracted form fruit seeds. Today we are going to bring you closer to two fruit oils in particular: raspberry seed oil and blackberry seed oil. Which one are you going to choose to condition your face with? First of all, blackberry seed oil is suitable for all skin types. This is a mighty cosmetic: it contains an array of anti-oxidants, vitamins C and E that are responsible from keeping face young, beta-carotene that slows down skin ageing processes and protects against epidermis water loss, evens up skin stone. Blackberry seed oil might be find beneficial especially for treating couperose skin type. The oil reinforces and seals blood vessels, evens up and improves skin tone, prevents discolorations and rosacea. Also, this natural fruit oil deals with skin pigmentation issues. Another thing worth pointing out is that blackberry seed oil might be found useful for treating oily and acne-prone skin. It balances sebum production, combats oily skin without leaving the skin dehydrated as it is typical for many products of this kind. Owing to blackberry seed oil, skin pores becomes less visible, skin gets smoother and all acne marks are finally cured. Oil extracted from blackberry seed receives many positive opinions. It’s considered as one of the strongest anti-oxidants when applied to face. It can be added to face masks (it can be mixed with natural cosmetic clays), mixed with herbal waters or combined with hyaluronic acid. Basically, blackberry oil serves well when combined with other natural oils or face creams. can be applied to all skin types, including couperose skin. Raspberry seed oil is slightly lighter than its blackberry relative. Thanks to the lightweight formula, it is absorbed by skin really fast and perfectly matches all skin types. Definitely, women with mature skin type will adore raspberry oil because of its delicately lifting action. Moreover, a natural raspberry seed oil is a huge dose of vitamins and anti-oxidants. When applied regularly, it improves skin density and reduces visibility of fine lines. It’s lightweight formula makes it a perfect product to be used as a serum applied before doing daily make-up. It’s worth realising that oily skin owners can make a good use of raspberry seed oil because this natural substance deals with excessive sebum production really well. Also, this oil is said to be a precious remedy for irritated skin; it can be used even to the skin affected by psoriasis and eczema. Raspberry oil soothes skin, regenerates it and additionally prevents new irritations and damages from occurring. Last but not least, raspberry seed oil has natural sunscreen that protects skin from the excessive sun exposure. 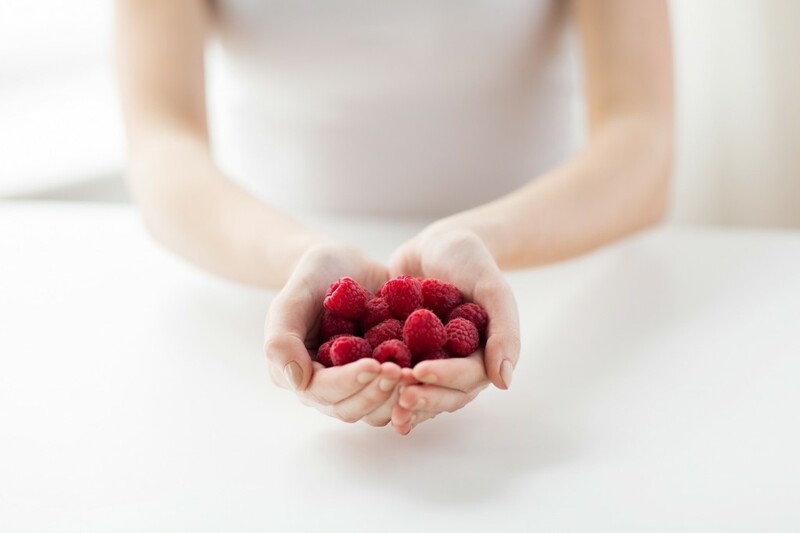 If your skin is oily, acne-pone, gets easily sunburnt or discoloured due to the sun, you can reach for raspberry seed oil to eliminate these beauty problems. Also, you should make use of the oil if you notice first fine lines on your face skin. lifts and reduces visibility of fine lines.